WATERVILLE — There is nothing more personal than health care. That was part of the message Wednesday night from Tom Daschle, a former U.S. senator and Senate majority leader from South Dakota, speaking about the Affordable Care Act and the future of wellness in America. 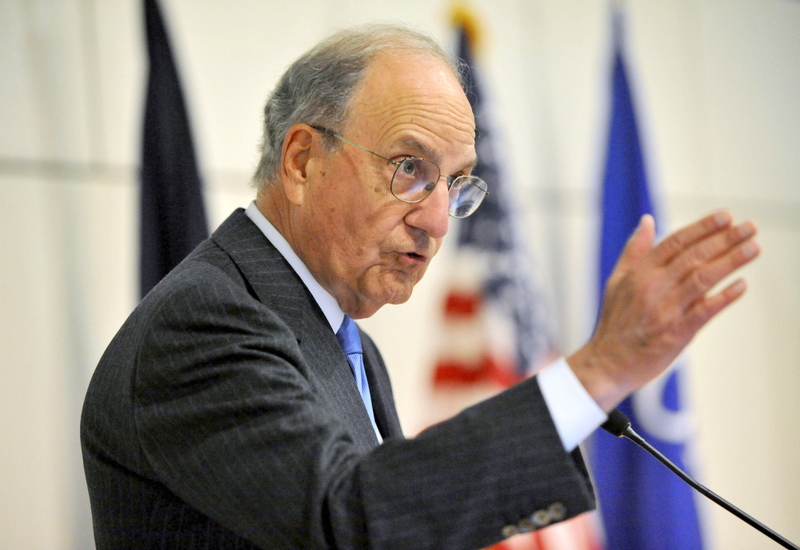 Michael G. Seamans/Morning Sentinel U.S. Sen. George Mitchell introduces former U.S. senator and former majority leader Tom Daschle of South Dakota to deliver the annual George Mitchell International Lecture at Colby College on Wednesday. Daschle served in the U.S. Senate from 1987 to 2005, making him one of the longest-serving Senate Democratic leaders in history and the only one to serve twice as both majority and minority leader. Daschle said Wednesday that the United States never really had a health system until the Affordable Care Act. Instead, America had a marketplace, where there was private-sector innovation but no coordination. He said health care has become a deeply polarizing issue, but that people from across the political spectrum can agree that there is a cost problem and that insurance customers are not getting what they are paying for. Daschle said the nation needs a health care system that keeps people well rather than one that cures them of illnesses. Daschle said it is still unclear what role the federal government will have in the future of health care, but that he has never been more optimistic that American can come together. Comparing the fight for health care to a football game, Daschle said America is on the 30-yard line in the game of our lives. There will be fumbles, there will be lost yards, but always there will be forward progress, he said. Quoting the late South African President Nelson Mandela, he said many things are impossible until they are done. 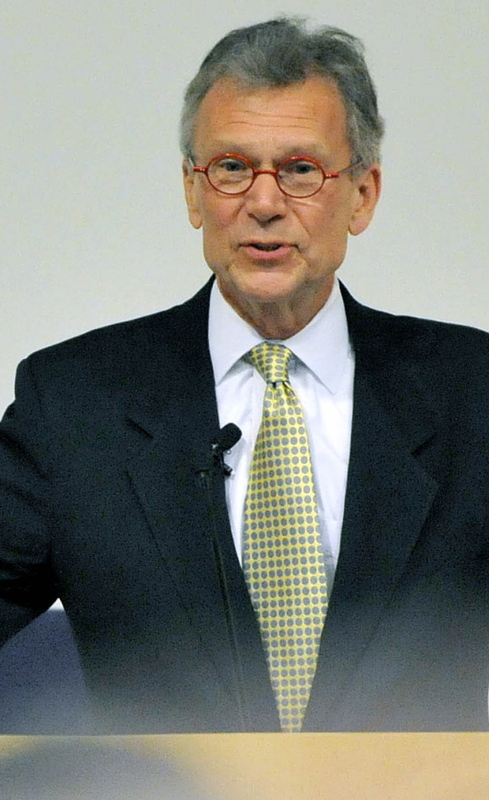 Daschle’s remarks Wednesday came during the annual Sen. George J. Mitchell Distinguished International Lecture at Colby College’s Goldfarb Center. Each year the lecture series features a prominent foreign policy leader to foster interaction among students, faculty, and members of the greater Waterville community while honoring former U.S. senator, statesman, international negotiator, and Waterville native George Mitchell.